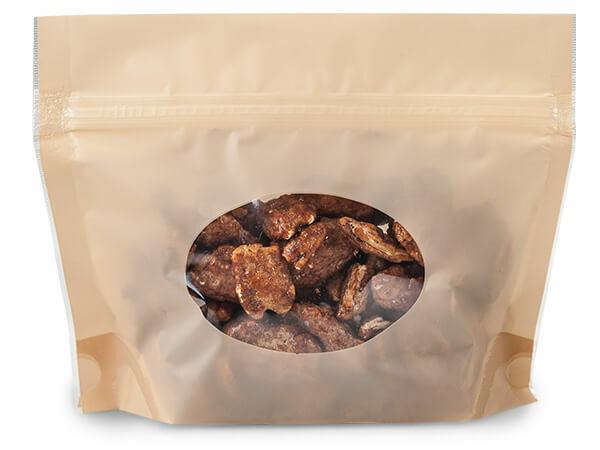 These small almond brown zipper top pouches have wide openings which make them easy to fill. These bags are perfect for food packaging and coffee pouches. The bottom gusset helps these bags to stand on thier own. Total outside dimensions: 9-1/4x5-3/4x2-1/2". 2.5 mil. Made in the USA. Heat sealable bags. Capacity: 1-1/2 cups of measured coffee beans.